Holy am I excited about this show. Art Rosenbaum is a true luminary. He has spent a lifetime documenting and performing traditional American folk music. We think Art will serve as the perfect local foil to William and his instrumental stylings. 399 Meigs is a beautiful, intimate space. The Will Johnson and Anders Parker show there was one of the best in recent memory. 1. Share this contest on Facebook or Twitter. 2. Leave a comment on this blog post (below) with your email address so I can reach you if you win. Bonus entry: Like Arrowhead Vintage on Facebook. Leave another comment for your bonus entry. 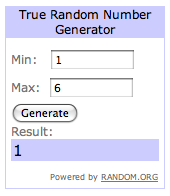 A winner will be drawn from the comments on this blog post using Random.org. If you don't leave a comment on this blog post in the comments section below, I have no way of seeing your entry. Winner will be announced on Saturday. If you have any trouble commenting, let me know (email on the sidebar) and we'll get you in there! Congrats! Random number generator pulled commenter #1.